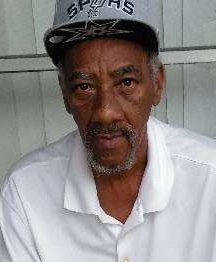 Obituary for Karl Wayne Parker, Sr. | Jones Funeral Home, Inc.
Karl Wayne Parker, Sr., 60, a resident of Duson, LA and native of Franklin (St. Joseph, LA), passed away on Tuesday August 7, 2018 at 3:49 AM in Duson, LA. Memorial Services will be held on Saturday, August 25, 2018 at 11:00 AM at Jones Funeral Home Chapel 1101 Main Street Franklin, LA 70538. Memories of Karl Wayne will forever remain in the hearts of his one son, Karl Wayne Parker, Jr. of New Iberia, LA and one daughter, Jocklene Parker of Franklin, LA; his mother, Willie Mae Parker of Franklin, LA; his companion, Myrtle Conner of Duson, LA and her children he helped to raise, Cloressa Druilhet, Jonathan Conner, Joshua Conner, and Deshineda Conner; five sisters, Sandra Smith of St. Joseph, LA, Sharon Parker and Delisa Williams of Franklin, LA, Andria Butler of Houston, TX, and Melissa Parker of New Iberia, LA; two bothers, Charles Parker and Anthony Parker of Garden City, LA; grandchildren and a host of nieces, nephews, other relatives and friends. Karl Wayne was preceded in by his father, Cornelius Parker, Jr.